Chino dentists, Dr. Margareta and Dr. Alex Gavrila, provide top quality dental care to residents of Chino, Chino Hills, Diamond Bar, Ontario, Corona, Yorba Linda, Rancho Cucamonga, Upland, Anaheim Hills, and many other communities. For over 25 years, Gavrila Dental has specialized in providing comprehensive cosmetic, reconstructive, family, and implant dentistry. We offer preventive dental services to maintain good oral health for patients of all ages. Dr. Margareta and Dr. Alex restore beauty and function to your smile using an array of general, restorative and reconstructive dental services. 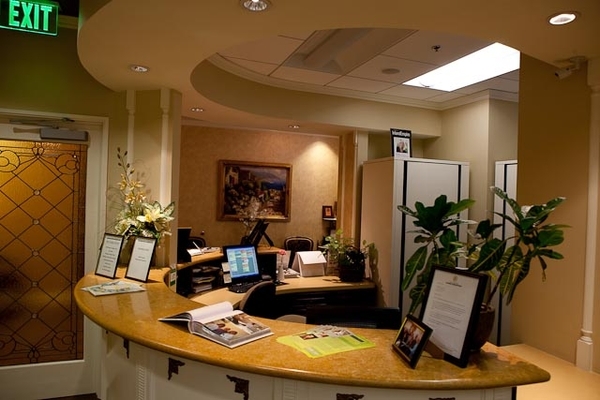 With our gentle treatment and comfortable atmosphere, you receive the quality care you deserve at our dental office. Prosthodontist, Dr. Alex Gavrila, specializes in creating quality restorations that will look and feel like your natural teeth. Whether you need a filling, crown, bridge, or are receiving dental implant restorations, your smile will be seamless and strong. Dr. Margareta and Dr. Alex use cosmetic dentistry procedures to enhance the aesthetics of your smile and your oral health. Having a vibrant smile is achievable through modern techniques and methods. Patients visiting Gavrila Dental receive improved function for a restored bite and overall general health. Our dentists spend personal one-on-one time with every patient to discuss each patient’s specific dental health goals and provide a thorough examination to identify their concerns, and present solutions to achieve each patient’s specific goals. Our dentists work hard to improve patients' oral health at every age. From helping children transition into their permanent smile to restoring adult teeth damaged by normal wear & tear, Dr. Margareta and Dr. Alex work together to provide families with access to the high-quality dentistry they deserve. By focusing on the importance of preventive dental care and patient education, our professional staff help adults and children alike keep their smiles looking and functioning great. If you are looking for a family dental practice that emphasizes function and esthetics, visit Gavrila Dental today. Our focus is on providing high-quality care and creating lasting smiles at every age. Our elite dentists will answer your questions and give you the gentle care that you deserve. Call our practice today to schedule your next dental appointment or complete our online appointment request form. We look forward to meeting you and your family and welcome patients throughout the greater Chino community, including Rancho Cucamonga, Upland, Ontario, Chino Hills, and Yorba Linda.